The U.S. grid-scale energy storage landscape is largely a state-by-state affair, with California, New York and Hawaii taking the lead. Washington state is the latest to join the fray, announcing Tuesday that it’s directing $14.3 million in matching grants to help three in-state utilities -- Snohomish Public Utility District, Puget Sound Energy and Avista -- deploy storage to better integrate wind and solar power into the grid. Unlike most of the other mandates, incentives and requirements underway at the state level, Washington is adding a new twist: a common technology standard to manage them. That standard is called Modular Energy Storage Architecture (MESA), and the implementation comes from 1Energy Systems, a Seattle-based startup that wants to create an open, scalable software platform for all kinds of grid-tied storage systems. CEO David Kaplan said in a Tuesday interview that the company will be providing its MESA-enabled 1Energy intelligent controller platform to Snohomish PUD for two new projects receiving $7.3 million in grants. Snohomish PUD has already been using 1Energy’s software to manage a 1-megawatt LG Chem lithium-ion battery installed at a substation last year. The new grants will help fund another lithium-ion battery installation, this one from Mitsubishi-GS Yuasa, and add another a vanadium flow battery from Mukilteo, Wash.-based startup UniEnergy Technologies as well. Rogers Weed, 1Energy’s vice president of product management, added that Puget Sound Energy, which is receiving $3.8 million in grants, is also expected to tap 1Energy’s software to support its energy storage project. PSE has previously announced an R&D project with flow battery startup Primus Power, but hasn’t disclosed details of its plans for the new grants yet. Other partners in the grant-funded program include Pacific Northwest National Laboratory, University of Washington, Alstom Grid and inverter maker Parker Hannifin. With these new projects included, 1Energy now has roughly 30 megawatts of energy storage projects using its platform, Kaplan said. About half of that is in the United States, including its Snohomish PUD project and another substation solar-smoothing battery project at Duke Energy’s Rankin substation test bed. The rest is overseas, he said, though he declined to say where. That puts 1Energy on a par with other software providers, such as San Francisco-based Greensmith and Growing Energy Labs Inc. (GELI), or Berlin-based Younicos, that are integrating multiple battery technologies to serve multiple grid needs. But Kaplan said that 1Energy’s MESA architecture is the first to be “externalized” from the company, in the form of a standards alliance that so far includes all the current vendor partners working on the new grant-funded projects. 1Energy does utilize its own proprietary IT, he said, including “handling in a very sophisticated and flexible way the tradeoff between local circuit needs and system needs." The proprietary IP is standards-based and standards-compliant, he noted. That means that other software providers ought to be able to build to meet MESA’s standards as well. “We’ve tried to abstract it out in such a way that anybody can come in and add algorithms in the system, but also take advantage of the robust, real-time control framework," said Kaplan. MESA is also working with the SunSpec Alliance, the industry group working on standards for controlling solar inverters, bi-directional power converters and other power electronics that allow batteries to interact with the grid. 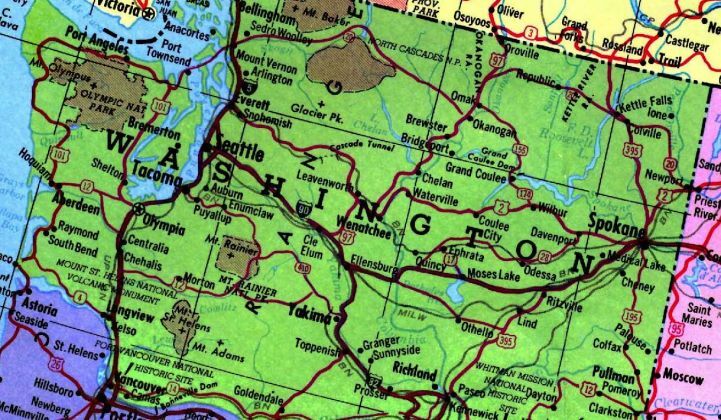 Washington has some of the cheapest and most stable energy prices in the country, thanks to the Bonneville Power Administration’s hydropower resources. But it also has one of the largest shares of wind power of any state in the country, which is a major focus of the state’s broader smart grid efforts. That’s likely one of the ways Snohomish PUD will be looking at using its new energy storage projects, though the utility hasn’t specified applications yet. Washington’s $14.3 million is relatively small compared to massive initiatives like California’s mandate to deploy 1.3 gigawatts of energy storage by 2020. But while California has done a lot to push the industry into a higher gear, “what they haven’t done is supply any technical guidance for how that deployment is going to play out across the state," said Kaplan. That makes sense. California regulators have stressed that they want to leave the mandate open to many different technical and business model approaches. But it leaves unclear whether California’s experiment in energy market transformation will include groundwork on establishing standards for all these emerging players. Washington, at least for now, appears to be taking on that role. Other states, and would-be competitors in the race to create operating systems for batteries, are sure to follow.